For More info on the sires click the Sires picture for that litter and it will take you to the Stud Dog Page for that litter. Or you can go to the Stud Page directly yourself. Please contact the breeder whose name is listed under the litter you are interested in for any information, including the price, guarantee, if they require a deposit, etc. Puppy prices vary greatly based on many factors such as their pedigrees, health certificates, field titles, show titles, warranties, dew claw removals, socialization levels, conformation, vaccinations, etc. Mother. The breeders are who you buy your puppy from, not North Country Retrievers. The price, puppy vaccinations, worming, health records, registration documents and warranty, if offered, and when the puppies go to their new homes are the sole responsiblity and decision of the breeders. 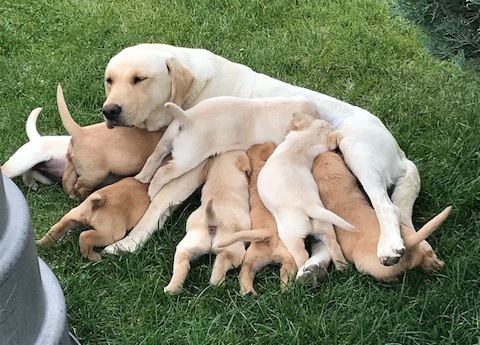 North Country Retrievers assumes no liability for any declarations, promises, warranties or inferences made to any buyers in respect to the puppies or their mothers. All information on this web site is guaranteed only to the extent of the information about North Country's Tater Chip, or North Country's Tater Tot. Information regarding the dams are provided to NCR and are posted on this web site based on the information provided to NCR, and NCR makes no guarantee of its correctness or validity. If you have concerns please request documentation from the breeders. Do they offer a written guarantee for their puppies? Has the puppy been well socialized? Do they provide a copy of pedigree? Have BOTH parents had their Hips certified by OFA or PENN Hip? Can they provide EIC certifications for both parents or for the puppy? Have they had their dewclaws removed? Have they been introduced to water if summer puppies? Have they been introduced to gunshots and other loud noises? Is their Kennel/Facility Clean, & Sanitary? Do they have references from prior breedings or litters? Have they maintained a health record? Do they appear to be experienced & knowledgeable? 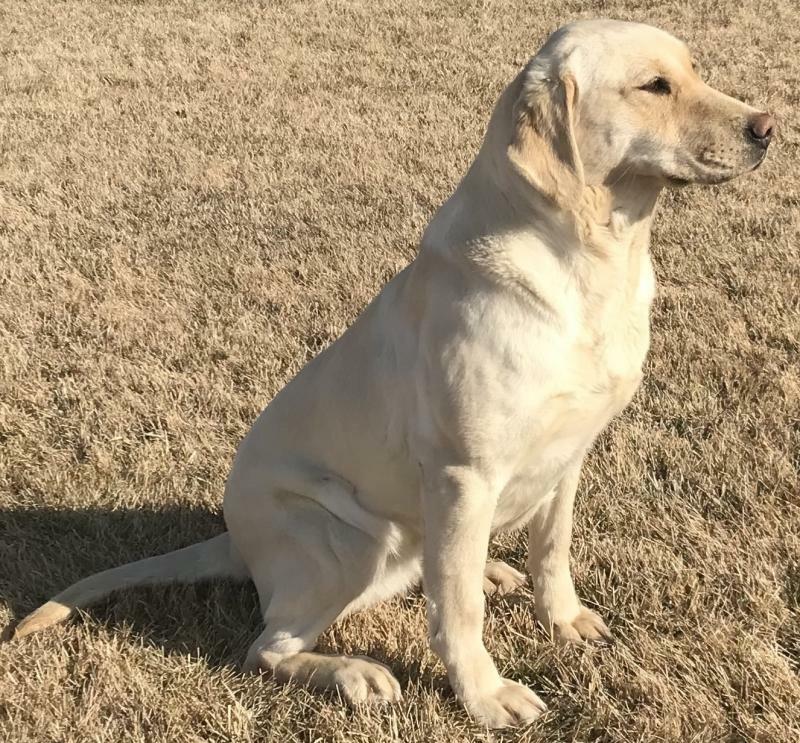 An answer of “NO” on too many of these questions could mean that the breeder is not up to the standards that you should be looking for when choosing your Best Friend, Hunting Buddy and companion for the next 12-14 years. Reputable breeders will command a significantly higher amount of money for their pups than “backyard breedings” for many good reasons. 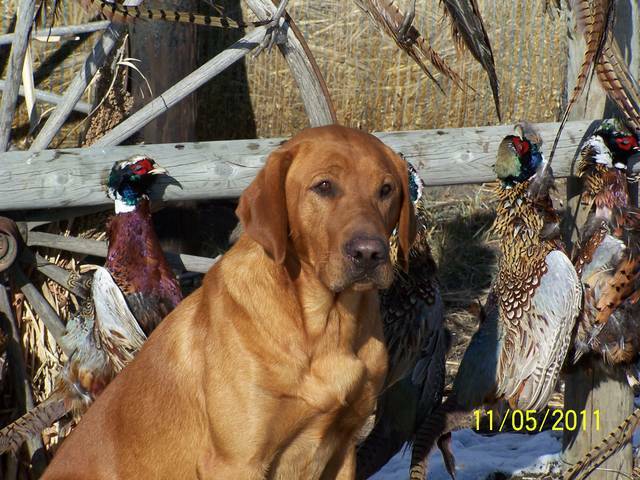 Most of the backyard breeding greatest credentials are “parents hunt”, or “great nose”, or “AKC”. Some even state “pedigree”. Every breeder should provide you with access to a certified pedigree for your puppy. These type ads are found in any newspaper-classified section across the country. Always be very cautious in choosing your breeder. An extra few-hundred dollars up front is a very good insurance policy against several hundred, or thousands of dollars spent on down the line for health care due to bad breedings. Not to mention the heartbreak of spending a few years of time, money and effort into training and caring for a dog only to find him coming up lame at a couple years old because of the product of a bad breeding. Or worse; have EIC. A pedigree is a document showing the family tree of your dog. Any purebred registered dog can have a pedigree. The American Kennel Club (AKC) is one agency that maintains registration records and registers purebred dogs. The United Kennel Club (UKC) and the Canadian Kennel Club (CKC) are two other recognized registries. The most common registry in the United States is the AKC. Pedigrees can be provided by any number of entities, some of which include all known titles regardless of which organization awarded them. These are by far the best pedigrees to evaluate a puppy, as they are all inclusive rather than restricted to one entity. But remember that an AKC Pedigree will not show any titles other thatn titles earned FROM AKC. When evaluating a pedigree, you want to look for a few basic elements. Now that you have chosen a breeder and a particular litter of puppies, its time to choose your pup. The first questions that need to be answered are; Do I want a male or a female? Do I want a larger or smaller conformation dog? Do I want a laid back temperament, or do I want a tightly wound dog? Do I want a more dependent or independent dog. Basically, you need to decide in your mind, based on the duties and lifestyle the dog will be assigned, just what kind of a dog you are seeking. If you have done your homework well, and are dealing with a reputable breeder, this is the time to ask their input. If they are indeed good breeders, they have already been looking at the temperaments of the individual puppies. Since they have seen them in action daily, they have a better idea of which puppies are becoming the more dominant and which are more submissive. They can tell which ones are extremely birdy, and which ones are brave verses a little more timid. By communicating with your breeder just what you are seeking in a puppy, you should be able to get adequate feedback to assist in making your decision. The reason the breeder or caretakers input is so important is because they see them every day, and can detect their patterns. The problems with a brief visit to pick a puppy are that you may be experiencing this puppy on any given period of his sleep-eat-playhard-lay around cycle. Just because one puppy is acting very laid back at any given moment may not indicate that is his normal behavior pattern. He may just be getting wound down. Hence, the importance of the breeders/caretakers input. The next test for any hunting dog is to see how they respond to a taped winged pigeon. Some puppies will jump right in and drag them around, where some might have an interest, but are not quite ready to jump in and grab it. Another good test is to call the puppies from a distance and see which respond well in coming to you. Bear in mind that when puppies are first let out of the cage, they come readily, but after a while of romping, they tend to not come to you so quickly. The more time you can allocate to spending with the available puppies, the better chance you will have at evaluating their individual potential for your own purposes, whatever they might be. Make as many site visits as your geography and time will allow and ask the breeder as many questions as possible. Now that you have chosen "Super Pup", take him/her home and give them your patience, time, love and understanding. The payback will be 100-fold. Happy Training and may you and your new best friend have many happy days in the field enjoying life together. 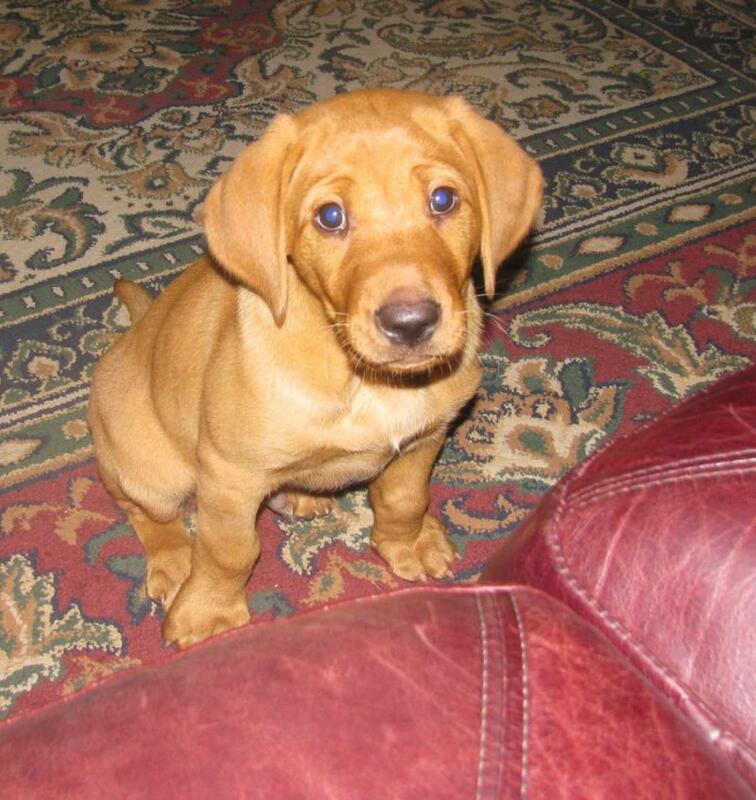 Tater as a puppy wanting to get up on the couch. Pleeeeease!